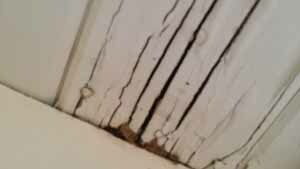 Wood rot and your home. Wood rot = wood decaying fungus as a type of fungus that digests wet/moist wood causing it to rot. Often times the mere correction of the wood is enough to salvage the wood. Is the wood in contact with the dirt? Is there a water leak and the wood is getting wet or staying wet for extended periods of time? Obviously if you see a fungus growing in the wood, it would be a dead giveaway (in the picture above). 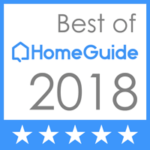 If you’ve read any of my blogs you know that I highly recommend performing a monthly home inspection. What should the homeowner look for? Any water leaks, no matter how insignificant should be investigated. Lingering moisture around the foundation of your home, correct sprinklers and/or flood irrigation. Some times bushes can hold the water close to the house, avoid vines. Inspect window sills, door frames and underneath sinks. Painting or resealing wood really helps to prevent the water from getting in. Decks need to be checked often. Caulking can also help, but make sure you’re not covering up a problem. The key is to find the problems and issues before they become major catastrophes. An ounce of prevention may save you $1000s of dollars and a real headache. Homeowners can simply get screens fixed and may keep the bugs out and in the same way a simple fix of a gutter leak may save you hours of time to rebuild a section of your house. Did you know that its usually a moisture content of over 20% that causes the problem, and I know you’re thinking we don’t have that kind of moisture in Arizona. Remember that thing we call monsoon? That fungus really needs good temps, oxygen and a food source and that could be your home.